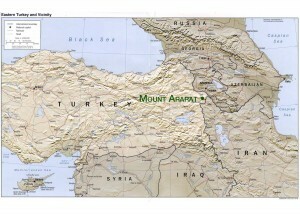 One way that NAMI’s discovery differs from many other claimed reports of the remains of Noah’s Ark is the fact that the NAMI remains have been found in caves near the summit of Mount Ararat. It was precisely the mention of these caves from the first reports of this discovery in January, 2008 that arrested my attention. Those unfamiliar with archaeological remains from so long ago may not understand why these caves are significant. First, caves are practically a requirement for preserving organic remains from so long ago. The Dead Sea Scrolls, the oldest of them dating from half the time elapsed since Noah’s Flood, are but one example. Secondly, I know from archaeological studies pertaining to ancient times that buried wooden structures, whether buildings or ships, will eventually appear to their discoverers as caves. Many, including Dr. Wieland, seem to suppose that these are natural caves. 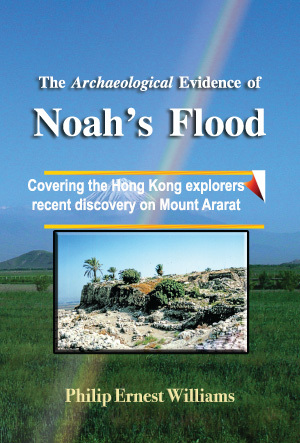 If indeed this be the case, I would agree with Dr. Wieland that this discovery is not Noah’s Ark, whatever else it might be. The fact that these “caves” are “lined” by wood points to the fact that these are not in fact natural caves. Another reason for understanding that these are not natural caves is the fact that at least 7 entries have been dug from the ice and from the light covering of rocks into these “caves.” That is what we should expect were a wood structure like a great Ark buried on this mountain, but not what we should expect from naturally occurring caves.